In alternate plumage, the reddish-brown plumage is diagnostic. The Dunlin also has a de curved bill but lacks a white rump. Stilt Sandpiper has greenish legs and a thicker bill. 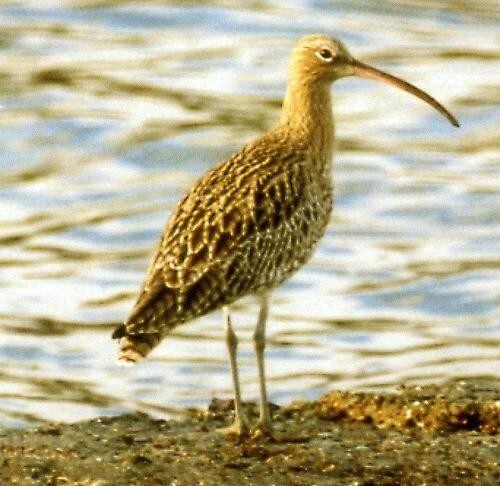 Other similar-sized shorebirds lack the de curved bill. In poor light, adult can be confused with Purple Gallinule, but can be distinguished by red forehead shield and white flank stripe. Common Coot has a whitish bill, lacks the flank stripe and has a slate gray back. Immature Purple Gallinules are much paler and lack the white flank stripe.